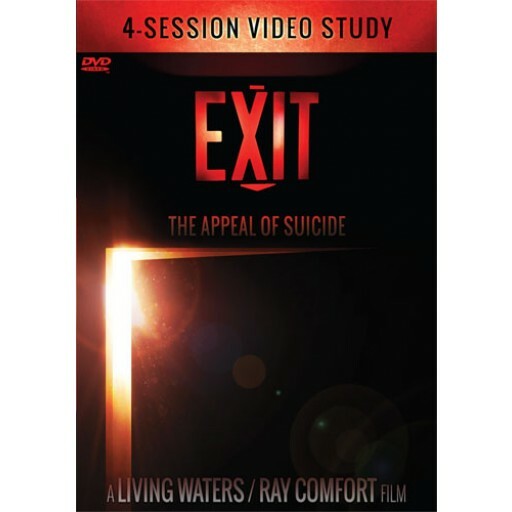 Join best-selling author and filmmaker Ray Comfort, Emeal (“E.Z.”) Zwayne (President of Living Waters), Mark Spence (Dean of the School of Biblical Evangelism), and special guest Dr. John Street in this insightful video series on depression and suicide. 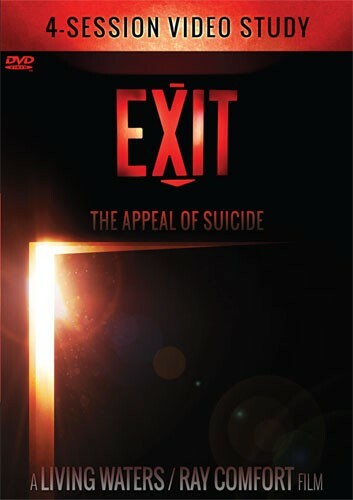 Learn what to say to someone who is plagued with depression or with suicidal thoughts in this four-part video series based on the film “EXIT.” This study is perfect for church small groups, Sunday schools, and family devotions. 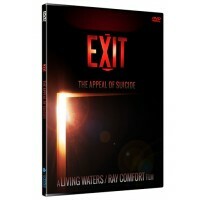 Ray Comfort, Executive Producer of “EXIT,” is Founder/CEO of Living Waters and a best-selling author of more than 80 books. He cohosts the award-winning television program “The Way of the Master,” seen in over 190 countries. Emeal (“E.Z.”) Zwayne, Executive Producer of “EXIT,” as well as other Living Waters films such as “180” and “Evolution vs. God,” is the President of Living Waters. E.Z. is a prolific speaker who is featured at various conferences, churches, and learning institutions around the world. Mark Spence is the Vice President of Outreach at Living Waters. He is also the Dean of the School of Biblical Evangelism (BiblicalEvangelism.com), which has had over 18,000 students, and is a popular conference speaker. Mark has also served as Producer on several Living Waters films. Dr. John Street has been in teaching and pastoral ministry for over thirty years. He is Chair of the Biblical Counseling graduate program at The Master’s University, and the President of the Association of Certified Biblical Counselors. He brings a wealth of biblical counseling expertise and experience.